Alive! 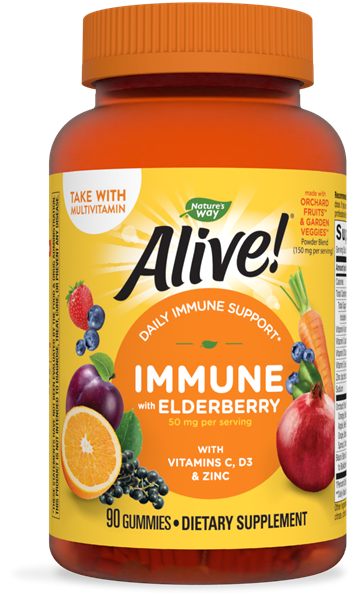 Immune Gummies - Nature's Way®. Adults 18 years of age and older, chew 3 gummies daily. Caution: Not for use in children under 18 years of age. Do not exceed the recommended dose. Women who are pregnant or likely to become pregnant should not exceed 10,000 IU of vitamin A from retinol per day, which in high amounts may cause birth defects. If nursing or taking any medications consult a healthcare professional before use.